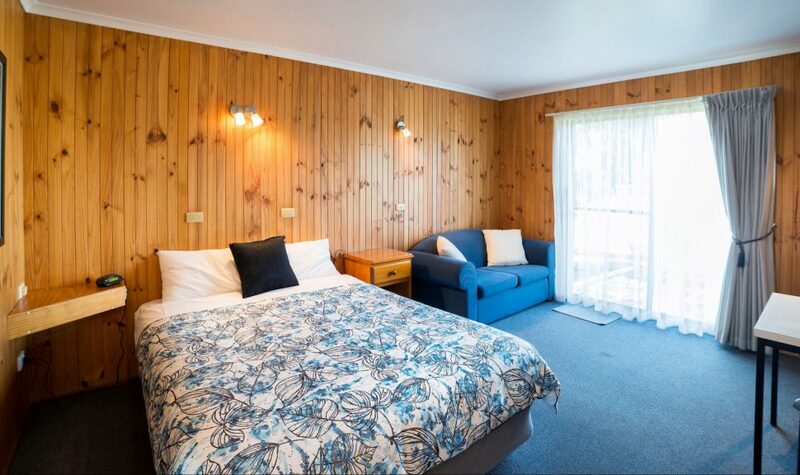 Kookaburra Motor Lodge is ideally located in a prime position in the beautiful village of Halls Gap in the heart of the Grampians National Park. 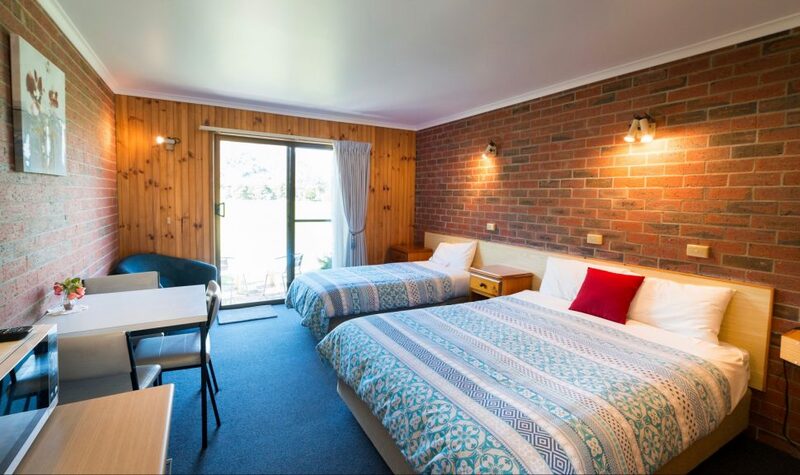 An easy walk to shops, restaurants, cafes, Tourist Information Centre and bus connections. 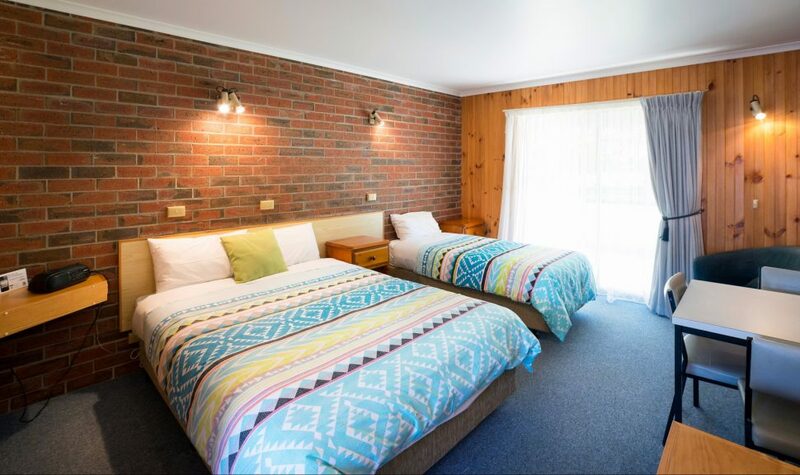 Kookaburra Motor Lodge is situated off the main road in a quiet and picturesque setting with craggy ridges rising above and around on all sides. 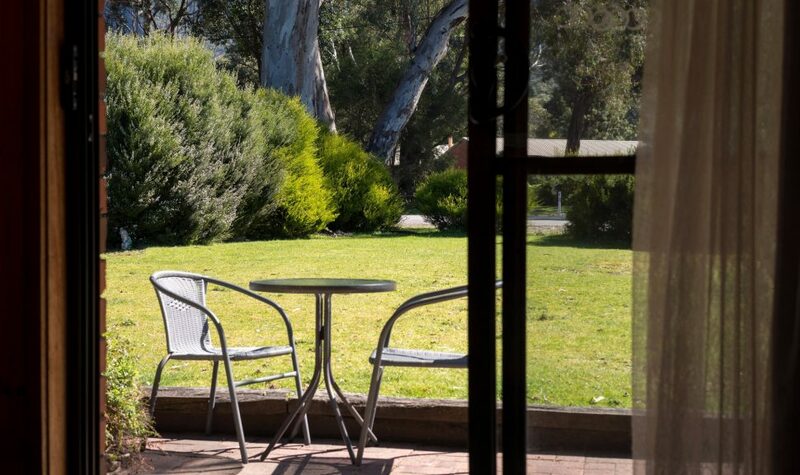 Native birds frequent the red gums outside and kangaroos can be seen from the rooms. 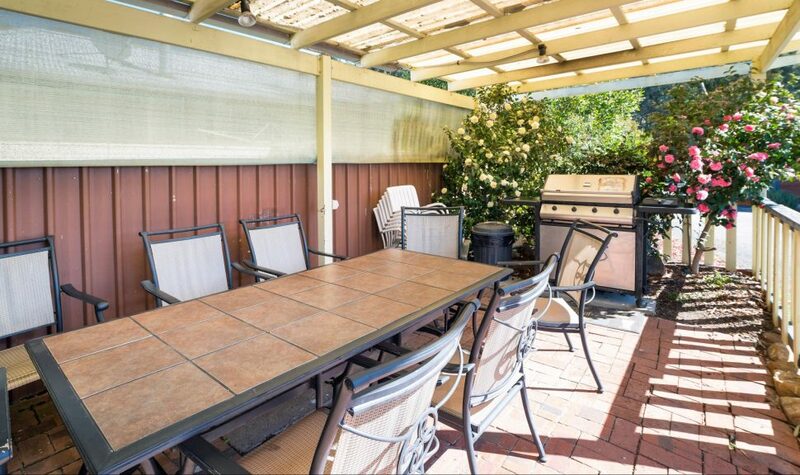 Kookaburras visit the property each day. 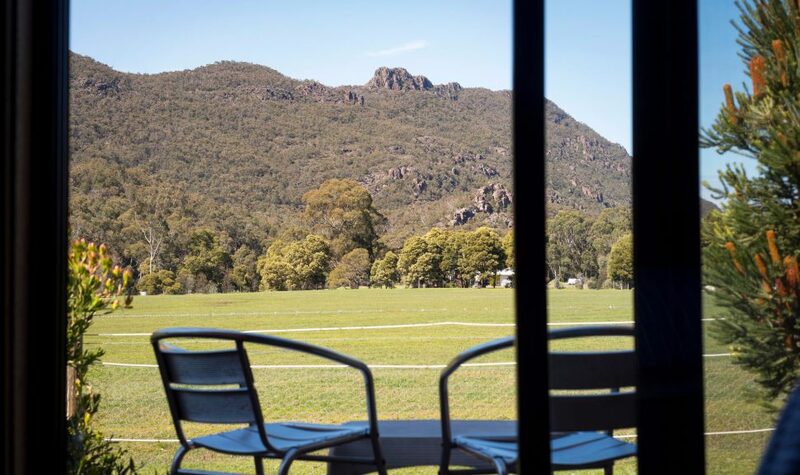 The bright and airy rooms feature sliding doors opening to lawn and paving with magnificent mountain views, while blockout curtains allow you to have a good sleep-in and enjoy cooked breakfasts served to your room. 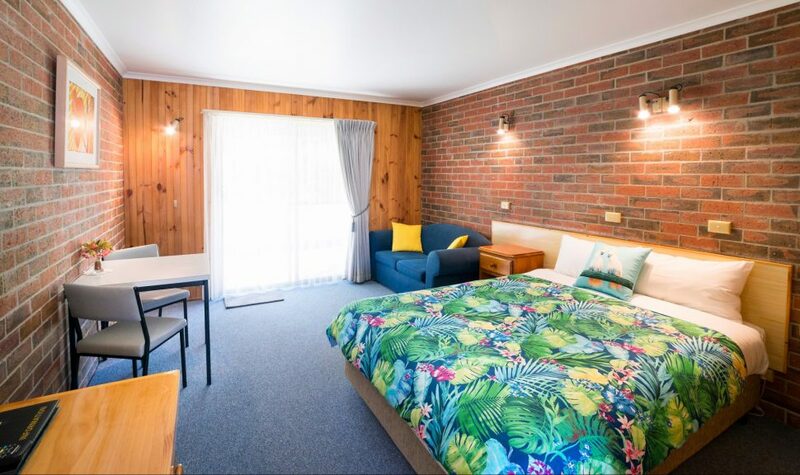 The 14 units at Kookaburra Motor Lodge include a unit for the disabled, interconnecting motel rooms, laundry facilities, barbecue in the courtyard, high definition television's, spot lighting, heating and cooling. 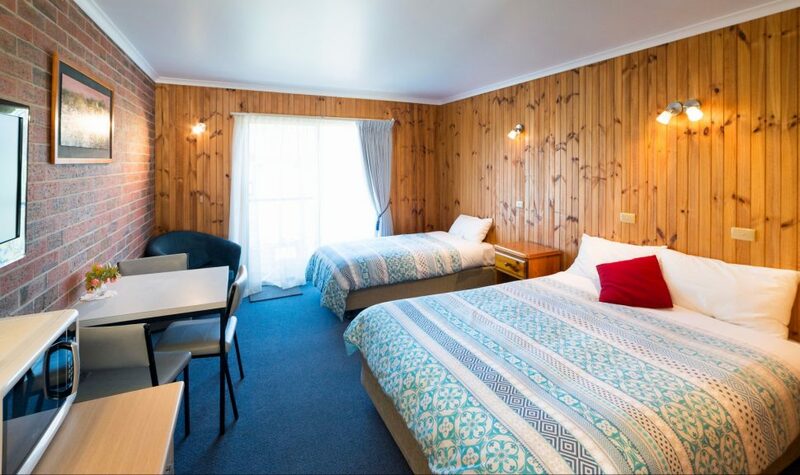 All rooms have tea and coffee making facilities, microwaves, refrigerator, toaster, iron and ironing board. Wireless broadband is available. 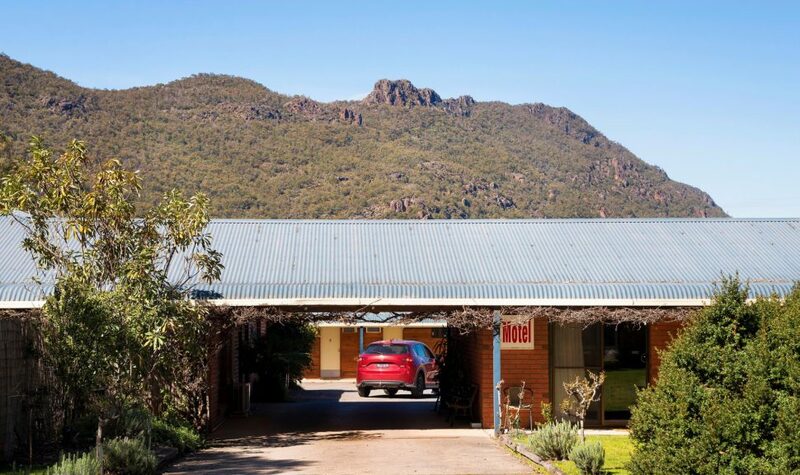 An ideal base to explore the magnificent Grampians National Park including McKenzies Falls, The Balconies, The Pinnacle, Brambuk Cultural Centre, Halls Gap Zoo and local wineries.